This page contains a list of J. M. DeSantis’s upcoming events, shows, and appearances. If you’d like to invite J. M. DeSantis to your event, are an attendee of an event you’d like to see J. M. at, or would like him to speak on a panel or other public forum, send a message via the Contact Page. J. M. DeSantis will be significantly reducing his convention appearances until the fall of 2019 to focus more on various writing and art projects. However, he will consider events he is invited to as a Guest. If you would like J. M. DeSantis to appear or speak at your show or event, please visit the Contact Page and put in your request. with special guest appearance by Chris Campana! November 21st at Forbidden Planet – 832 Broadway, New York, NY. Note: J. M. DeSantis began appearing at conventions in 2009 with an Artist Alley appearance at the Big Apple Con (Wizard World). 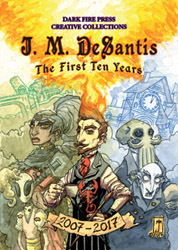 In 2010 – 2011, J. M. DeSantis appeared in Artist Alley at the New York Comic Con. 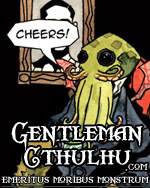 Also in 2010 he spoke on a panel on zombie fiction for his work on Night of the Living Dead: Reanimated.